Merry Christmas and a really Soulful New Year from all of us at www.djsly.co.uk. . The ‘Godfather of Soul’ James Brown died on 25th December 2006 in£Emory Crawford Long Hospital, Atlanta, U.S.A. He was one of the most influential soul artists of the modern era inspiring many performers with his great musical rhythms and beats. Born in the U.S.A. on 3rd May 1933, at Barnwell, South Carolina, James Brown was 73 when he died. His music however lives on. Grenada celebrated Independence Day (ID) on the 7th February 2007. Happy 33rd ID to all Grenadians! One of the most exciting new artists is Joy Denalane. Born to a German Mother and a South African Father her music is a mix of Soul, Reggae, Hip-Hop and African. Her sound is truly unique. It’s not surprising really since her uncle is the legendary Hugh Masekela. Her new album is called Born & Raised out on Nesola Records. It looks set to carry and open up Joy’s fantastic music to an ever increasing fan-base. Wow for one so young DEF1 is really making, producing singing and rapping some real inspirational music well beyond his age. If you ‘Hate’ your British musical street beats with some vintage ‘Ol’ Skool’ flavours you will simply just ‘Love’ this album. ‘Love Me Or Hate Me’ is a must for your collection! Avenues 87.7 FM (www.avenuesfm.com) returns for their latest RSL broadcast between Monday 5th February and Sunday 4th March 2007. 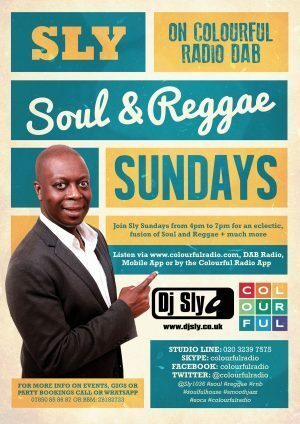 Make sure you joint Sly for ‘The Sunday Afternoon Affair’ between 3pm and 5pm Sundays during this period. The ICC Cricket World Cup for 2007 takes place between Monday 5th March and Saturday 28th April. You can follow your favourite teams and how they progress via the internet on www.windiescricket.com.. If you’re a Windies fan like me you can get more info on Brian Lara and his team at www.windiescricket.com..
My Myspace is finally here! 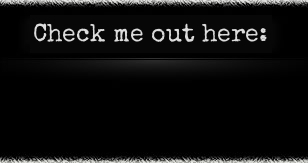 That great networking & social website… www.myspace.com/sly1036 …Enjoy! Tenpin [Acton] is currently running a promotion to win a brand new mini. It’s a free prize draw and the promotion runs until 31st July 2007. All you have to do it jot your details down on a flyer / form and drop it in at Tenpin. You can obtain full details by calling 0871 550 10 10 or via the website on www.tenpinwinamini.co.uk. Life…begins at 8AM on Monday 16th April 2007. Remember this is Brent’s first legal community radio station, Life 103.6 FM’s has a five year Ofcom awarded FM licence to broadcast to the Harlesden and Stonebridge area and beyond. So that’s Life 103.6 FM as well as Life FM world wide on the internet at www.lifefm.org.uk. On Friday 10th August 2007 Life 103.6 FM will be launching a monthly residency at The Avenue Winebar in West Ealing to be hosted by our very own DJs. The event will be held on the second Friday of every month. The venues relaxed setting coupled with our range of quality music will serve as an end of week remedy for all. For more information about this night check out www.lifefm.org.uk . . This year’s Brent Respect Festival takes place on Sunday 8th July 2007 from 1pm to 8pm. The address is Roundwood Park, Harlseden Road, London NW10. At the time of writing it’s looking like Life 103.6 FM will be again spinning the sounds and comparing in the park. For more information check out (www.brent.gov.uk/respect). Ebony Evans from Atlanta, Georgia is the new singing sensation. Her genre of Nostalgic Soul music is just a truly amazing sound. Her album is available now and you can purchase it from the link(s) on her website www.ebonyevans.com. It’s also good to check her myspace page at www.myspace.com/ebonyevans where you can listen to tracks from the fantastic debut album ‘Luv’s Fire’. Ebony was in a phone interview with me on Sunday 1st July 2007 on Life 103.6 FM. It was fantastic! Kanye West performed a one off secret gig at Central Hall, Westminster on Monday 20/08/2007. This was part of the Vodafone TBA [Live Music] series of events. The location was kept a secret until 3pm that afternoon, when a selected number of people received the second of two text messages confirming the location. Having been told in the text to arrive between 18:30 and 19:30 it was evident by the length of the queue that we were not going to get in before 19:30. In the end that did not matter as the entry time was not being enforced. It was not until 21:15 that the concert started, with the ‘I Wonder’ track from the new album opening up the gig. It was a strange venue for a concert and sitting in the circle the acoustics was not the best it could have been. Kanye performance was full of energy as he danced, sometimes giving the impression that he was in a boxing match bobbing and weaving. He sung most of his hits from the first two albums. The only glaring omission was ‘Gold Digger’ from the ‘Late Registration’ album. After about 45 minutes you felt as those the concert was coming to an end. There were one or two encores that stretched it out for just over an hour with the final song being ‘Touch The Sky’. In my opinion I felt the concert rated 7/10. The gig was being filmed for later transmission on Channel 4. Kanye West ‘Graduation’ album is released on Monday 10th September 2007. The March will begin on the green opposite Bridge Park Community Leisure Centre, Harrow Road, London NW10 0RG at 12 noon stopping at points of memorial. It will end at St. Augustine’s CE High School in South Kilburn with refreshments and speeches. On Monday 15th October 2007, Life 103.6 FM is moving from Stonebridge to Harlesden. We will be broadcasting from our brand new premises above the Abbey in Harlesden High Street. It’s going to be a very exciting time for us all! If you want, need, like or require a DJ for the forthcoming festive season…get in contact with me via the links and / or info on this website as bookings are now being taken. Wednesday 9th January 2008 saw the last of three nights in concert, with the legendary Jean Carne and her friends Shirley Jones & Alyson Williams at the Jazz Cafe in Camden Town, London. Unfortunately Glenn Jones could not attend as planned, due to illness. The live music started after 9pm, when Jean Carne’s brother, who compared the evening introduced his sister to the audience. Jean took to the stage wearing a black jacket and skirt outfit. She told us of how she had recently been in Blackpool performing at the Luxury Soul Weekender. Jean went on to introduce the first act which was Alyson Williams. Alyson came on stage and sung ‘SleepTalk’ which immediately got the crowd singing and dancing. Alyson went on to sing most of her well known tracks including her version of ‘Holding Back The Years’ from the current album ‘It’s About Time’. Second on stage was Shirley Jones from the legendary group The Jones Girls. Shirley performed many of the classics we all know so well including ‘Who Can I Run Too’, ‘Nights Over Egypt’ and ‘Do You Get Enough Love’ which got just about had every one in the house singing. Finally it was the turn of Jean Carne herself. Jean is a real true professional. Well use to performing at the Jazz Cafe she was able to interact with the audience in a very special way. Even when one of her fans got so excited by holding her hand that they did not want to let go. Jean handled the situation really well. She performed all her major hits including ‘Was That All It Was’, ‘We Got Some Catchin’ Up To Do’ and of course ‘Don’t Let It Go To Your Head’. The was a final surprise for us with a two song rendition from 19 year old Alexandra Bell whose mother Melissa Bell is a former singer with Soul II Soul. In my opinion I felt the concert rated 8/10. Life 103.6 FM Drive Time presenter DJ P goes for the Guinness World Record attempt! Well, our amazing presenter DJ P is going to attempt breaking the World Record of Longest Continuous Radio Show Broadcast ever £ Record Breaking Drive Time Yes, it is quite a task, as DJ P will need to be on air non stop for over 135 hours! That’s right, that’s almost 6 days!!! The official attempt starts at 4pm on Thursday 10th April 2008 and completes on Wednesday 16th April 2008 at midday. It’s the BIG Life FM Party on Friday 18th April 2008! Life FM will be celebrating it’s birthday, the end of DJ P’s Guinness World Record attempt and re-launching our monthly event Life FM Friday’s. It’s definitely one not to be missed. Life FM DJs on the night playing the best in music like Party classics, 80’s classics, Funk, Hip Hop, RnB and Funky/Soulful House and Afro Beat £ will be DJ Peanut, DJ Pugwash, Mark Bart, Dr Lex and many others. Entry: £5 for a party to remember. Where: Route 66 Sports Bar, 28 Abbey Road, Park Royal, NW10 7SB. For more information email events@lifefm.org.uk. Geoff Schumann has joined Life 103.6 FM to host a brand new breakfast show weekdays between 7am and 10am & a show on Saturday’s between 9am and Midday. So join Geoff Schumann for breakfast from Monday 30th June 2008. You can now join me at the new time of 12noon on a Sunday for The Sunday Afternoon Affair. You’ll still have all the great classics in the first hour and new, future and current music in the second hour along with some super features. So join me, Sly every Sunday on Life 103.6 FM for The Sunday Afternoon Affair between 12noon and 2pm from Sunday 6th July 2008. One of reggaes great legends Alton Ellis passed away on 10th October 2008 (aged 70) after a long fight against cancer. The singer who was often referred to as the “Godfather of Rocksteady” died at Hammersmith Hospital in London. Ellis’ career started in the late 50s / early 60s, he is well remembered for his hits that include ‘I’m Still In Love With You’, ‘Let Them Try ‘, ‘A Fool’ and ‘Too Late To Turn Back Now’. He was inducted into the International Reggae and World Music Awards Hall of Fame in 2006. Our condolence goes out to the family of the late Alton Ellis.